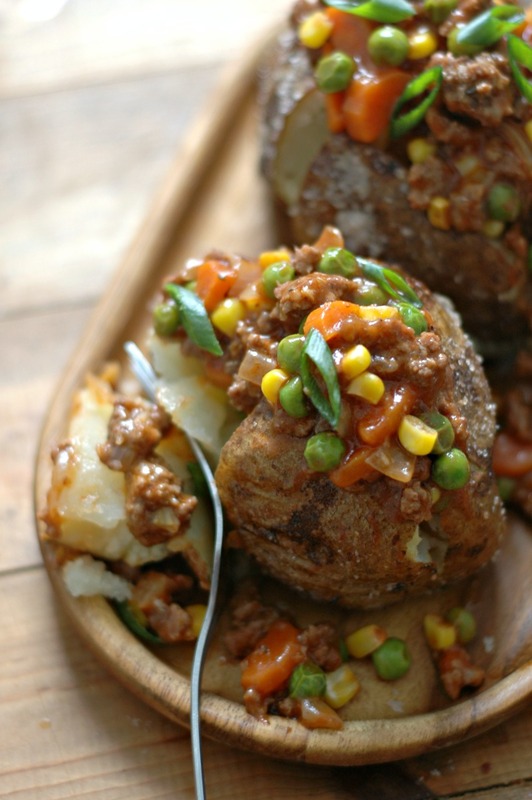 Shepherd’s pie loaded baked potatoes take that classic comforting dinner we all love, and make it in to a family dinner made for a weeknight! 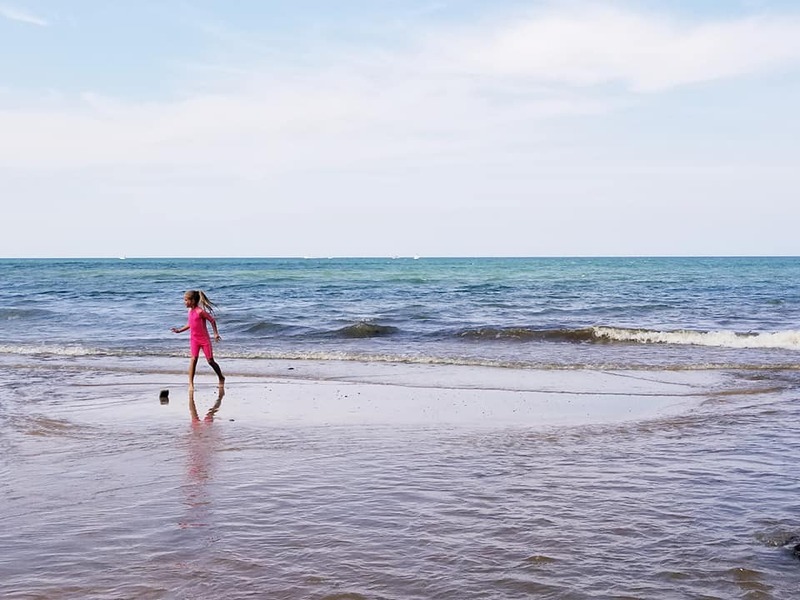 You just never know what you’re gonna get in September here in Michigan. One day, we’re enjoying the beach and 80 degrees, and the next day, we get a fall preview, waking up to 50 degrees, hoodies, and hot tea! I love that about Michigan though. It’s as if she knows you can’t just swap our blissful summer days for the chill that late fall brings. We ease into it around here. The chill does last for quite a while around these parts, after all. I’ve been sitting on this recipe since last spring! It happened to be one of those cooler spring days where I decided to use the oven to warm up the house and snap a few pictures while I was at it. The late day lighting suggested warmer weather was on the way with summer around the corner, and I just tucked this recipe away for the inevitable fall cool down, when you all would want to turn your ovens back on again. When the chill hits the air where you live, I hope you can give this recipe a try. Because, real life, ya know? It’s so fun to make a big pan of shepherd’s pie on the weekend, but if you’re craving that warm comfort on school night, this method of loading the creamy shepherd’s pie filling right on top of a perfectly baked potato is just the ticket. This is important! If you’ve never had a really well done baked potato with a creamy inside, and crispy skin on the outside, you are in for a treat! 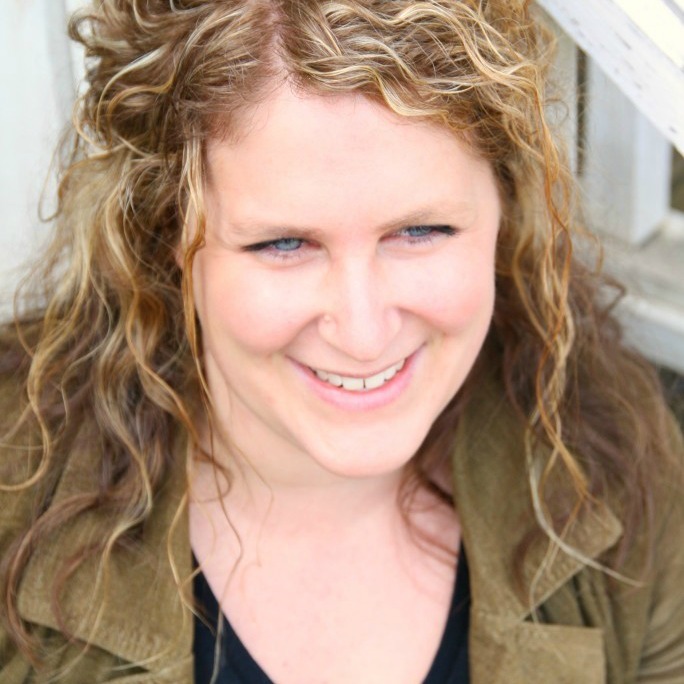 The method will seem so simple, but sometimes that’s the way to go – the less fuss the better. Avocado oil makes things super crispy, which is why I usually reach for that. And making sure the potato skin is coated in sea salt helps dry it out and crisp it up! I also have had nice crispy skin using olive oil. Seasoning the outside of the potato really well not only helps to crisp the skin, it also seasons the potato so you really don’t have much to do after cooking, other than pile on the shepherd’s pie filling! Can I use sweet potato instead? Absolutely! In fact 2 out of my 3 girls prefer their shepherd’s pie over a baked sweet potato versus the white potato. The prep method and cook time is about the same – sometimes if the sweet potato is a bit larger, it can take an hour to bake. Just prick the sweet potato with a fork around the 50 minute mark to see if it is soft on the inside. 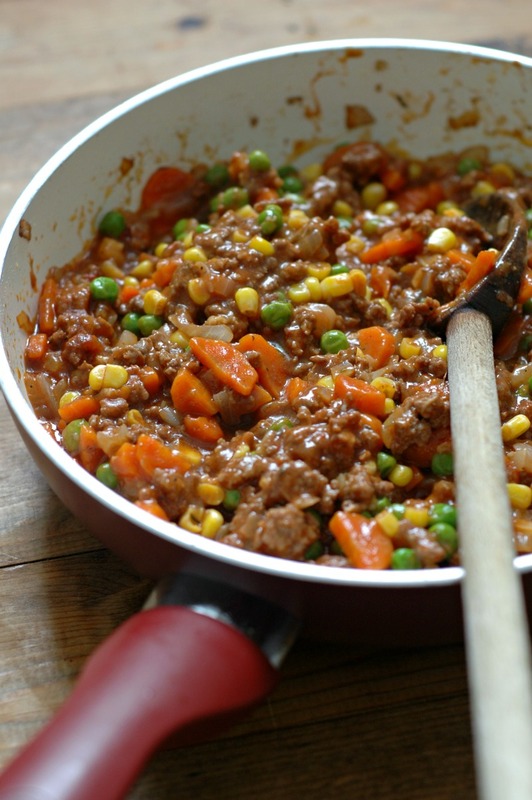 Savory, creamy, and hearty – that is what should come to mind for a shepherd’s pie filling. The gravy-like sauce is the perfect topping for your bake potato, and the taste will make any kid ask for seconds. I kept the veggies very “classic” shepherd’s pie with peas and carrots, but you really can use whatever you have on hand. If you are grain free, you can also leave out the corn. I love adding diced butternut squash to replace the corn in the fall. Again, pictured here in this post is the classic shepherd’s pie filling with the corn. When your potatoes are done baking, use a knife to slice a lower case “t” along the top of the potato – one line down the length of the potato, and another across the width. Then pinch the ends of the potato until it “pops” open – the perfect little bowl to nestle all the shepherd’s pie bits and gravy into. Both the potatoes and the shepherd’s pie filling can be prepared in advance. If you are a “prep day” kind of a person, you can make the filling on your prep day, and just stash it away in the fridge or freezer until you are ready to use it. 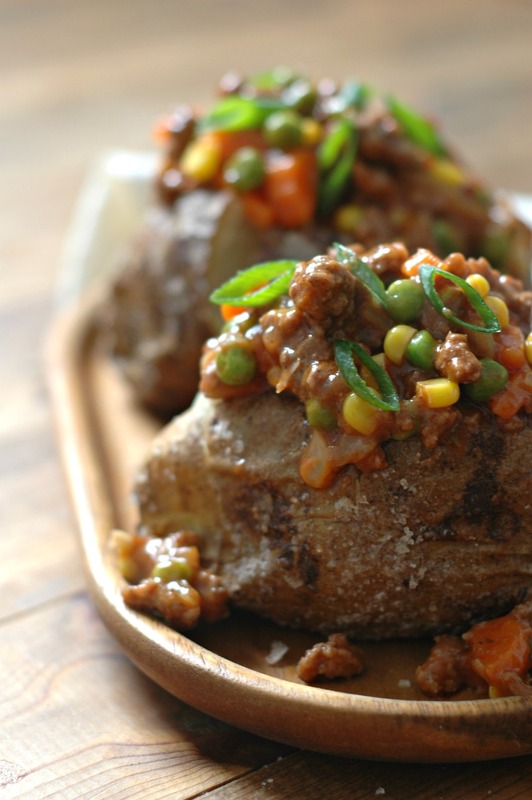 The baked potatoes can be baked off as well, and just warmed through to crisp up in the oven prior to eating. Since the filling freezes so well, you really could double up, and save part of the batch for another time. 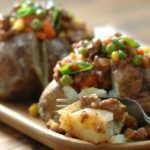 Shepherd’s pie loaded baked potatoes take that classic comforting dinner we all love, and make it into a family dinner made for a weeknight! 3-4 tsp coconut aminos it is fine to leave this out if you don’t have it – it does really add to the flavor though! It mimics soy sauce in flavor. Make sure the potatoes are dry. Poke a fork into each potato 2 times. 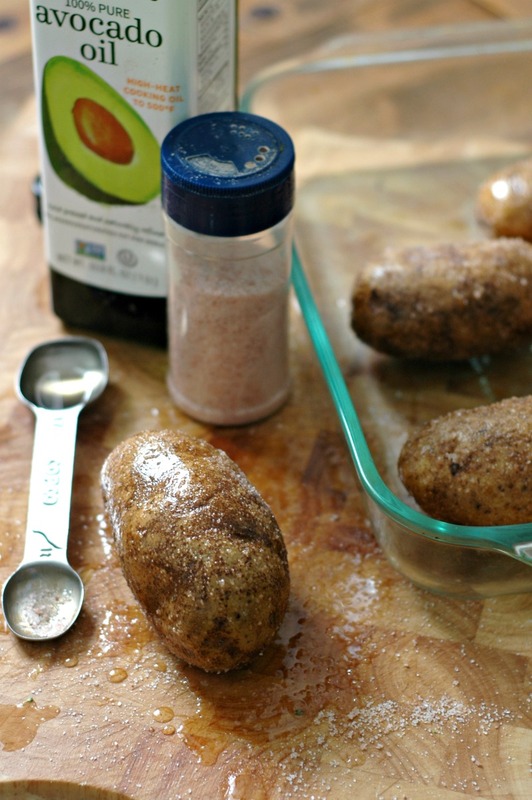 Rub the oil all over each potato, and then rub the salt over each potato. 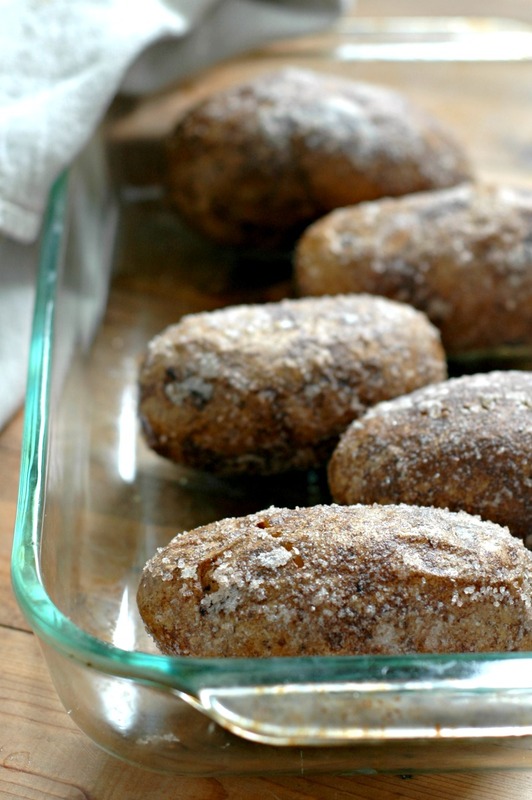 Set the potatoes in a baking dish and bake at 425 degrees for 50 minutes until fork tender. While the potatoes are baking, you can make the filling. Melt your friendly fat in a skillet over medium heat. Add the onions and carrots with a small pinch of sea salt, and cook for 3-4 minutes until softened. Add the garlic to stir in. Add the beef to the cooking veggies along with the sea salt and pepper and brown the beef. When the beef is done browning, stir in the tapioca flour and tomato paste, and cook for 1 minute. Add the broth, coconut aminos, and thyme, stir to combine, and bring to a simmer. Once simmering, bring the heat to low, cover the pan with a lid, and cook for 7 minutes. Take the lid off, stir in the peas and corn, and return the lid, cooking for 5 more minutes. 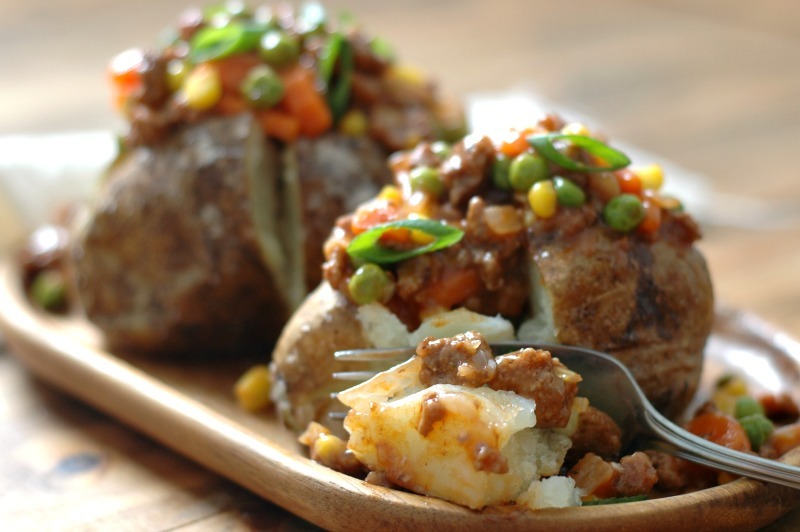 Taste the filling for salt and pepper, and then top your baked potatoes with the beef/veggie shepherd’s pie filling. **Filling can be made days in advance for quick, weekday dinners! 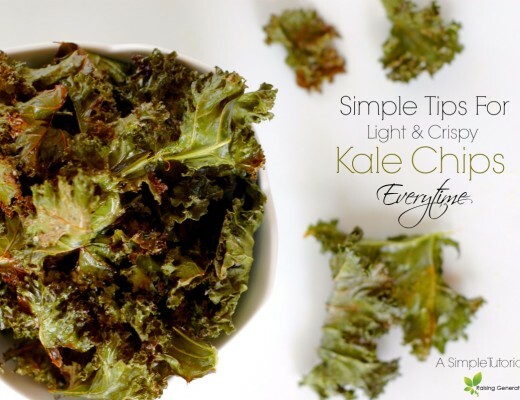 Simple Tips For Light & Crispy Kale Chips Every Time! What a dreamy combo!! I rarely do baked potatoes, bu done well they are so delish!! I look forward to trying this! 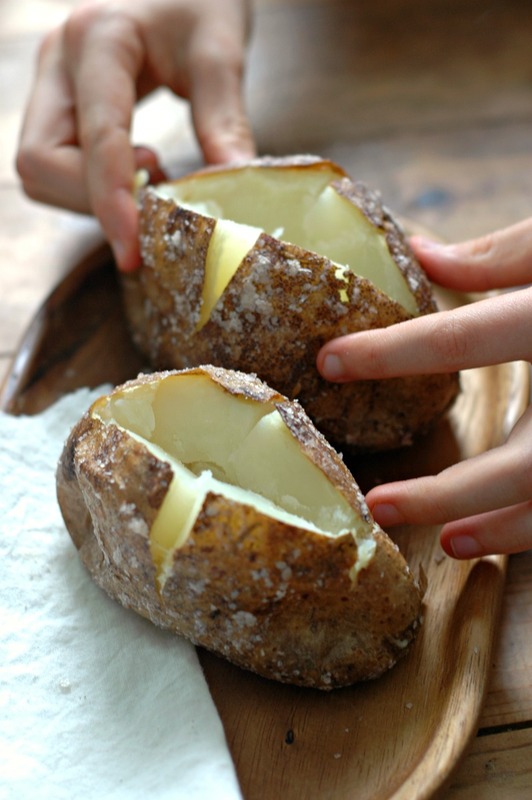 That oiling and salting tip is so great for making the perfect crispy skin baked potato! This is such a perfect, comforting, cozy meal for fall and all of the colder months. I have always loved Shepherd’s Pie, but have never had it like this before. Such a great idea! So I’ve been looking for a shepherd’s pie recipe..your version is so easy and delicious! These are amazing! That salty skin is outrageus! 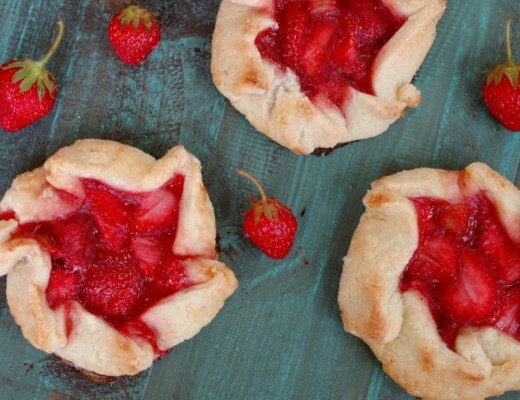 These look so comforting and a fun spin on the classic. I really love eating loaded baked potatoes for dinner, mmmm! This looks amazing! And it seems so much easier to make than traditional shepherd’s pie. Win win! Oh wow Renee, I’m impressed! Thanks for teaching that method with the avocado oil and sea salt. I can’t wait to eat that!! LOL. Also, that open pan of the filling, such a pretty picture. 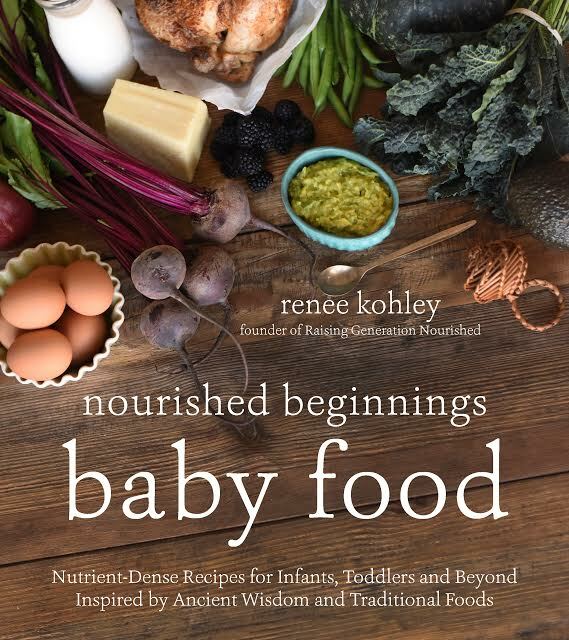 This is such a great recipe and concept, and I love the no-fuss! What a great comforting recipe! I love the shepherds pie, so you know I’m definitely all about this! Delicious comfort food at it’s healthiest and best! Yum! I love this spin on shepherd’s pie! It’s quite a bit easier than mashing potatoes and omg – yours are perfectly baked. Comfort food crush!! This is one of those recipes where I say, “I wish I had thought of that!! !” Brilliant and delicious. OMG what a great idea to pack this into a spud. 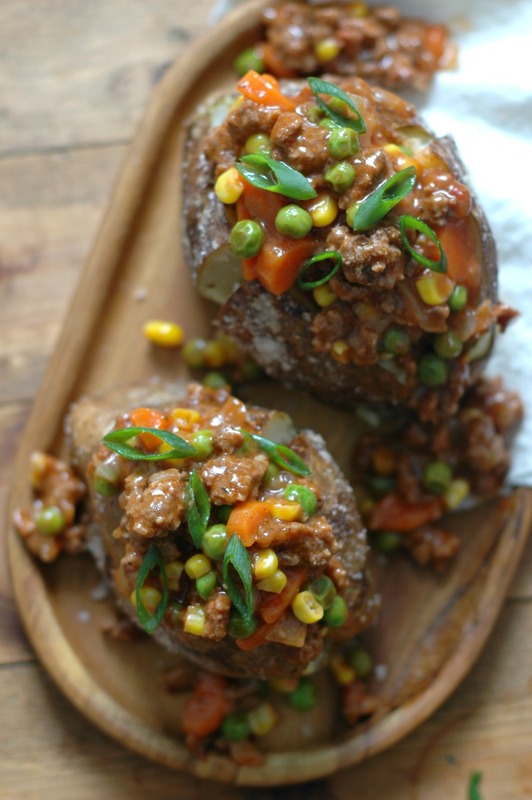 This is the perfect weeknight meal for fall! OMG! YUM! That meat sauce looks so moist and flavor. Love the crispy potatoes, too! Oh my, I could just dive right in and devour those! Gorgeous photos! I love this idea so much! I rarely make Shepards Pie since it does take a bit of time, but this is so fantastic and much easier! Looks so good Renee! Thanks for the tip about how to crisp up potato with seasoning the outside.. such a simple tip but I’m sure it makes all the difference!! I love stuffing taters with goodies like this! Thanks! Wow so these are a work of art! I have to try them as I bet they would be a huge hit with my family! Delicious! MMmm … I could definitely sink my teeth into one of these! I’d opt for the sweet potato (make them weekly anyhow). Will let you know how they turn out! Thanks for a great recipe, with beautiful photos. My oldest has been asking for shepherd’s pie, but I don’t always have time for all the work. I’ll have to try this easy version. WOW! 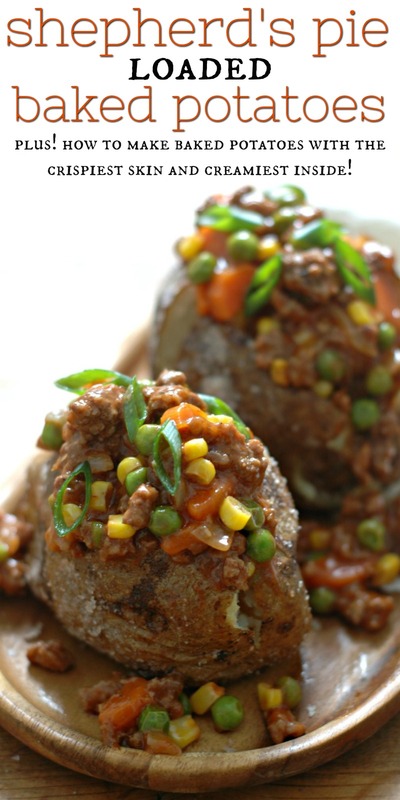 I love the idea of adding Shepard’s Pie in a baked potato! I’m totally trying these soon!